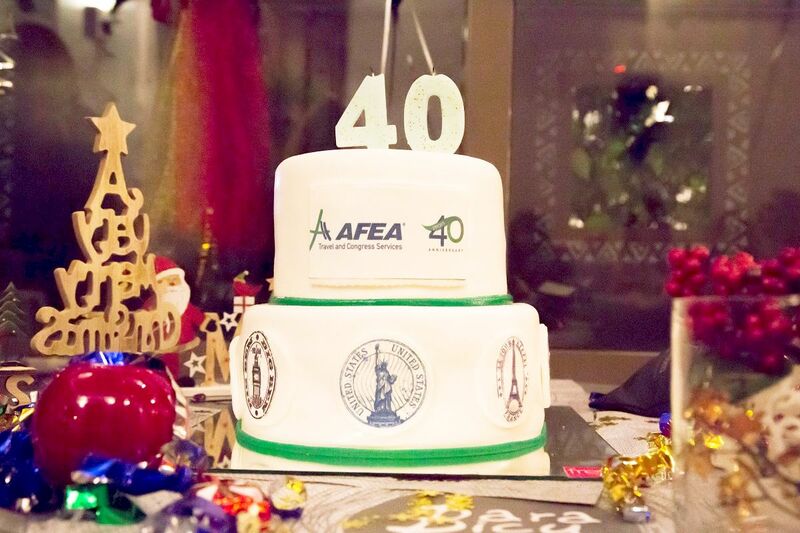 Athens-based AFEA Travel and Congress Services recently celebrated its 40th anniversary during an event attended by the company’s executives and associates. “AFEA is one of the oldest, most experienced professional congress organizers and destination management companies in Greece, providing integrated services to corporate clients, organizations and associations worldwide,” the company said in an announcement. During the event, held at the Barabicu Restaurant in Athens, the company’s founders spoke of its achievements, also stressing that AFEA continues its successful course, by adopting new ideas, with professionalism and optimism. “We are celebrating a successful journey of 40 years… in this company and its people. We feel very happy and proud,” AFEA president Spyros Nikolakopoulos said. The company’s CEO Andreas Lignos thanked the AFEA team and especially the company’s oldest associates. “AFEA’s strong team is the most important element of our success. The management team has always considered its people a top priority… Today we honor some of our top executives, who have been with us for more than 20 years”. Regarding the younger AFEA team members – the second-generation family executives – Nikolakopoulos and Lignos said they were actively involved in the company, “and are assigned new roles, opening up new horizons for the company on a global level”. AFEA provides integrated services to more than 200 companies, organizations, scientific and educational institutions in Greece and abroad. It is organizing more than 150 conferences, meetings and events annually. It currently counts 40 employees at its offices in Athens and Thessaloniki. AFEA is an active member of some of the largest international organizations and associations in the MICE and corporate travel, including the International Association of Professional Congress Organizers (IAPCO), the International Congress and Convention Association (ICCA), the Hellenic Association of Professional Congress Organizers (HAPCO) and the International Air Transport Association (IATA).